In 2017, over 70,200 Americans died from a drug overdose. Now more than ever, we as Americans are faced with an unprecedented epidemic. Drugs are everywhere, and they’re easy to get your hands on if you have enough cash. In order to understand how to protect your loved ones from drug addiction and overdose, you need to understand the effects of different drugs on the body. Each drug will cause different side effects and will leave long term damage in different ways. PCP, also known as phencyclidine, is a street drug also known as angel dust. It causes dissociative, sedative effects that can leave the user in a trance-like state. It creates an out-of-body experience and can leave an extreme feeling of peace. Some side effects of PCP are extreme sweating, vomiting and nausea, rapid eyelid movement, and clear detachment from reality. PCP is especially dangerous because it doesn’t take a large dose or prolonged usage to cause damage to the body in the long term. After just one, small dose, the user will feel as though they are drunk. Their hands and feet will be numb and they will likely not have a lot of control over their movements. With a higher dose, the effects become much more serious. Schizophrenic symptoms are common when on high levels of PCP. This includes sensations like paranoia, delusions, confused thinking, and a disconnect from the environment. When the dose is too high, seizures, coma, and death are common. It’s not unusual to hear stories of someone high on PCP who commits suicide due to their delusions. The side effects of PCP don’t end when the user stops taking the drug, either. Memory loss, trouble speaking, and mood disorders are often reported long after usage stops as well. On the chemical level, LSD messes with the serotonin receptors in the brain, making behavior and mood fluctuate. The most common physical effects of LSD are hallucinations, visual and auditory distortion, anxiety, increased heart rate, and pupil dilation. It’s worth noting that while there is no known lethal dose of LSD. Many people who take too much of this drug tend to experience hallucinations so powerful that they wind up accidentally killing themselves in the process of dealing with them. Over time, the user will experience nausea, trouble sleeping, dry mouth, and even seizures. What’s worse, if the user goes on what’s known as a bad trip, they’re in for a hallucination so unpleasant that it has been related to a living, inescapable nightmare. Mushrooms, or psilocybin mushrooms, grow in nature and when consumed create a hallucinogenic effect. They change the user’s perception and thought, the same as LSD or PCP does as we described above. They look exactly like normal mushrooms, which makes them particularly dangerous. When an addicted user attempts to consume a psilocybin mushroom but accidentally takes a poisonous one by accident, death can occur. Some of the effects of mushrooms are an extreme sense of euphoria, “tripping”, pupil dilation, stomach pains, headache, fast heartbeat, fever, fast breathing, vomiting, and sweating. When someone takes too much magic mushrooms, they go through a phase of overdose. This is an unpleasant experience that can come with anger, irritation, vomiting, diarrhea, weakness, panic, seizures, and even coma. Just like with LSD, bad trips are common with mushrooms as well. Opiates are a drug that doctors commonly prescribe for the treatment of pain. However, due to rampant overprescribing coupled with the intense high that opiates cause, we are currently in the middle of an opiate epidemic. Heroin is a popular opiate that people regularly abuse and overdose on because it’s fast-acting and the high it produces is intense. However, it only lasts for around 30 minutes. Immediately after use, the user will experience a high and relief from most pain. That’s followed by a sleepy feeling and eventually an uninterrupted sleep. But that high can quickly turn into a lack of willingness to move, paranoia, trouble breathing, and nausea. Over time, the user’s body develops a resistance to the effects of the opiate, causing them to require more to experience a high. But their bodies aren’t prepared for the increased drug intake, which can cause an overdose. If abused for a long period of time, opiates can cause liver damage, brain damage, and addiction. One of the newer street drugs out there, synthetic cannabinoids, also known as K2 or Spice, is creating a whole new reason to be cautious. This drug is often mistakenly considered to be synthetic marijuana, however, it’s actually made from a different plant altogether. Synthetic cannabinoids are created by man and they’re sprayed on shredded plant material so users can smoke it. K2 can cause an increased mood, relaxation, changed awareness, and some hallucinations. However, it also comes with a whole host of side effects like anxiety, confusion, paranoia, and involuntary movements. When on K2, it’s normal for users to experience violent behavior, suicidal thoughts, and vomiting. 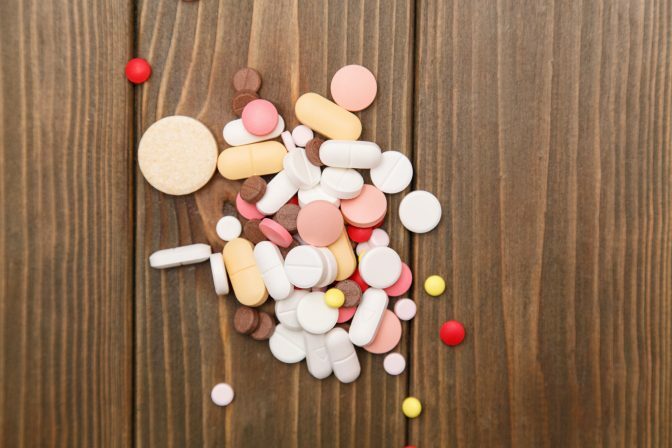 There are many different kinds of drugs out there and the effects of different drugs vary. It’s important that you stay up to date on popular street drugs and their effects so you can be on the lookout for them. The first step to fighting an addiction problem is education. If you or someone you love is struggling with addiction and you’re searching for help, contact us today.